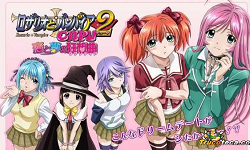 A female gang of girl-obsessed first-year students makes itself known on campus, giving the second-year girls Moka (vampire), Kurumu (succubus), Yukari (witch), and Mizore (yuki-onna) a hard time. 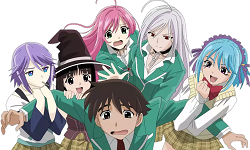 One of these newly arrived first-year girls is a vampire, holding a deep grudge against her older sister, who happens to be Ura Moka — accusing her of not being true to herself when sealed in her Akashiya Moka form. The story is set in Japan a millennium from now. 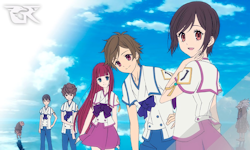 Five children — the protagonist Saki, Satoru, Maria, Mamoru, and Shun — have been born and raised in a tranquil town that can be described as a utopia, overflowing with water and green foliage. The world is ruled by people who have the cursed power or the gods' power of telekinesis. Veteran gamer Shiroe and other players have been trapped in the world of the online game Elder Tales for six months. The once chaotic city of Akiba has regained its everyday hustle and bustle following the formation of the self-governing organization Round Table Alliance. 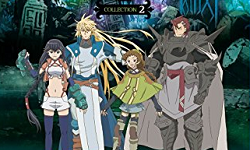 The earthlings, who are originally from the game world, have gained the trust of Shiroe by waging a defensive war against the Goblins in Zantleaf Region. This has led Princess Lenessia of the Cowen family, the highest-ranking Earthling Aristocrats, to live in Akiba.